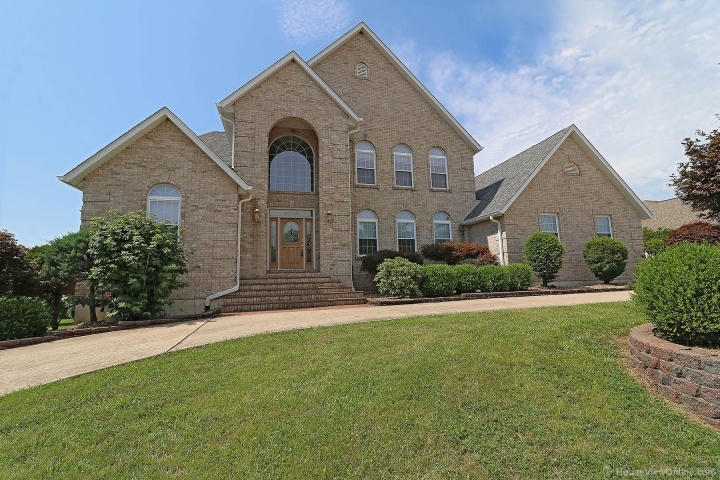 Spectacular 6 bedroom, 6 bath home with many, many extras! Two story entry foyer makes a grand entrance, then bedrooms and baths on three separate levels, with graceful front and back staircases. Large kitchen with upscale appliances, granite floors, breakfast area, and home office adjacent. Master suite has two walk in closets and large bath with whirlpool and shower. Newer roof, gutters, and siding, privacy fencing and inground pool with newer heater and cover. Lower level has a huge family room with some furnishings that stay. This stately property could be a magnificent place to call home for a lucky buyer! Must see.